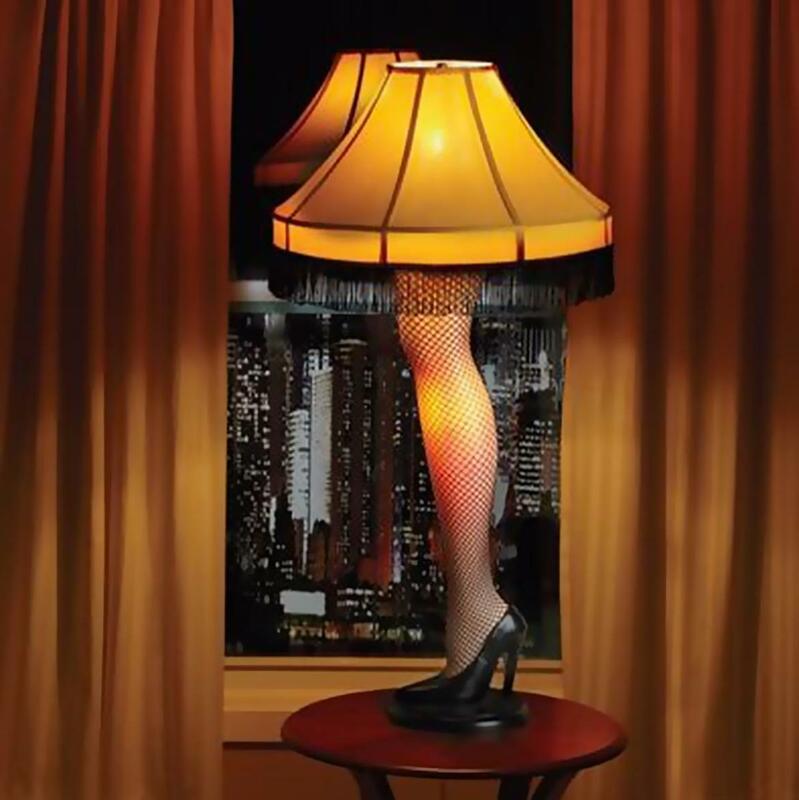 The movie A Christmas Story is arguably one of America’s favorite holiday films. 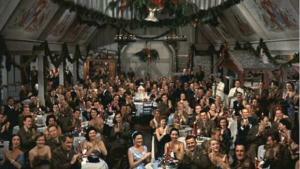 Over the years, this modest little movie has grown into a Yuletide perennial. And it’s a favorite of mine too! The movie was actually filmed in Cleveland, Ohio and Toronto, Ontario. The house from the movie is located just outside downtown Cleveland (The Parker family home is 3159 West 11th Street in Tremont, south of downtown). The now well-recognized house was built in 1895: a colonial-style home in an area comprised largely of families whose men worked in the nearby Flats. It’s a wonderful adaptation of a Midwestern home in the 1940’s. 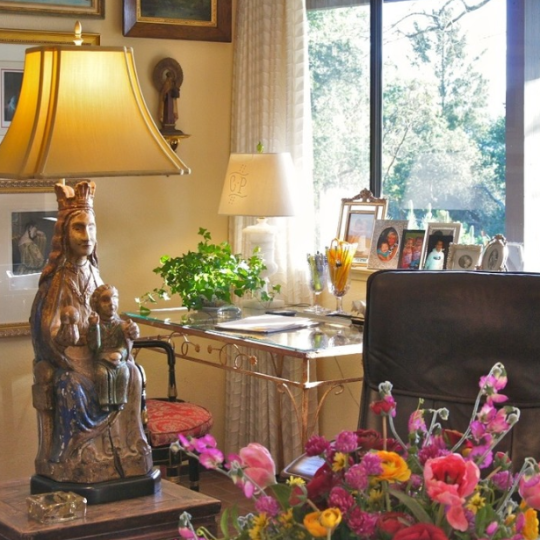 The home’s interior is very warm and welcoming. It’s traditional 80’s and 90’s design with country style kitchens, chintz, busy wallpapers, crown molding, wainscoting, white millwork and trim, full-length, sweeping drapery treatments and gold accents is beautifully done. Although I could have done without the typical 80’s pink bathroom! There are a lot of similarities between the interior design of this “home” and that of my next top favorite. Seeing as they are both supposed to take place in the Chicago suburbs and were filmed one year apart, it’s not surprising. I love that this movie was filmed a few towns over from where I grew up! There’s also the famous scene at O’Hare Airport (American Airlines terminal) when the family is running through the concourse to catch their flight, without “Kevin,” of course. I think of this scene every time I walk through the terminal. 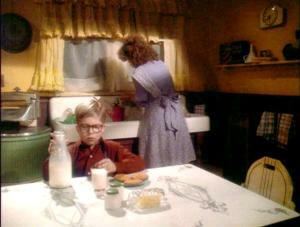 Luckily, I haven’t yet had to reenact the scene to catch a flight. Unlike a lot of movies, which film on a studio lot and simply re-dress house-like structures, Home Alone filmed its exteriors at a real residence. 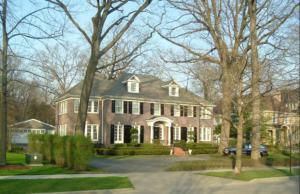 “Some scenes in the film were shot in a three-story single-family house located at 671 Lincoln Avenue in the village of Winnetka [just north of Chicago].vThe house was built in 1920 and features five bedrooms, a fully converted attic, a detached double garage and a greenhouse.”(8) It was chosen partly for its look and partly because the production needed a house that had the properties – like front steps – needed to pull off some of the film’s stunts. The home really is beautiful. The detailed millwork is truly exceptional. I love the arched hallways and entryways, crown molding and white wainscoting. However, what really jumped out was the color palette. 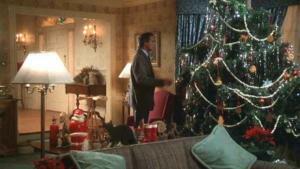 The house’s interior features reds, forest greens and golds, traditional Christmas colors. The house was designed for Christmas! The entry stair runner is bright red; the kitchen countertops are dark green tile and the wallpaper is a busy holiday floral pattern. 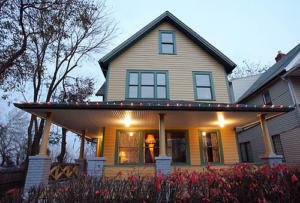 It’s the perfect house for a Christmas movie! An absolute classic! As a native of Chicago, I used to see A Christmas Carol performed at the Goodman Theater every year. Such a wonderful way to get into the holiday spirit. 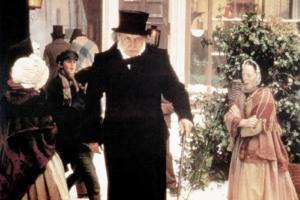 The 1984 version is a “British-American made-for television film adaptation of Charles Dicken’s famous 1843 novella of the same name. It was filmed in the historic medieval county town of Shrewsbury in Shropshire [west midlands of England]”(11) which was transformed into Victorian London for the classic tale. 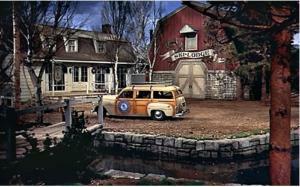 The town/street scenes in the film are spectacular and are my favorite filming locations of the movie. The transformation of the town is amazing. The damp, dark street scenes, filled with fog and snow, always give me a chill as if I’m there. 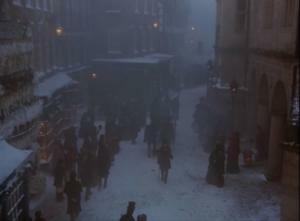 Horse and buggies, the dimly lit street lamps and carolers in period costume bring the Victorian town to life. This movie has it all, romance, comedy, dancing and singing! One of my favorite Christmas songs, which most people have never even heard of, is “Snow,” sung by the foursome (Bing Crosby, Danny Kaye and Rosemary Clooney) as they make their way on the overnight train to Vermont. And for these reasons, I watch it every year. Nonetheless, the set of the inn is absolutely gorgeous, especially when the snow finally begins to fall. The lobby of the inn features a glass double-door entry, arched floor-to-ceiling windows, loads of white trim, columns and lodge charm. 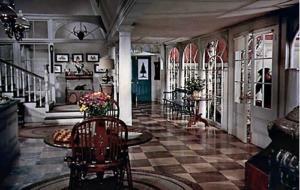 I love the checkerboard floors, white banister and decorative millwork. Every detail is so welcoming, down to the game table and round area rugs. The expansive dining room is my favorite room at the inn, with its cathedral ceilings, exposed beams and stonework. There are even murals painted in the ceiling panels! 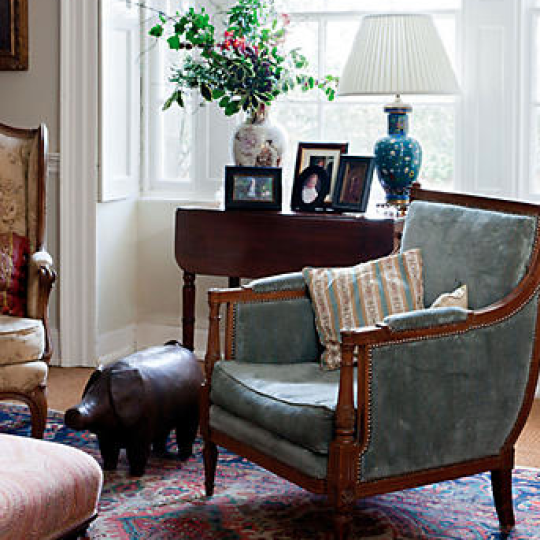 The sitting room adjacent to the dining room features a wrap-around window seat with patterned cushion and elegant legs. It’s a nice juxtaposition to the open firepit and copper chimney. It is all tied together with swooping Christmas bows, bells and bows. The perfect place for Wallace and Davis to perform! The beautiful wood beds in the cabins are magnificent, even if they are up against the closets and don’t really make sense in their layout. Not everything needs to make sense in the movies.